James was born in Exeter in 1981 and grew up in East Devon. He graduated in 2005 from the University of Bath with a degree in Economics. 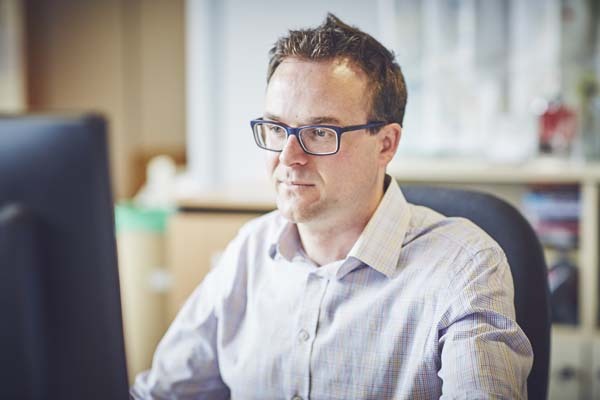 After brief spells working for Bishop Fleming and Leisure East Devon and training as a Maths teacher at the University of Exeter, James entered the investment management industry in October 2007. Joining Charles Stanley’s Exeter office, he worked as a broker’s assistant for a year before progressing to work as a portfolio manager for four and a half years. During this time he attained the CISI Masters in Wealth Management qualification, and is now a Chartered Fellow of the CISI. In June 2013 James joined Prydis Wealth to work in a similar role focused on collective investments. James joined the Hawksmoor’s Fund Managers team in July 2015 in support of Daniel Lockyer, Richard Scott and Ben Conway. He managed the private client Buy list, and continues to do so after moving over to the Research team in October 2016. James also manages a Buy list of sustainable funds, and co-manages the Hawksmoor Sustainable World Balanced Model Portfolio with Dan Cartridge. James and his wife Christina live in Broadclyst. He has been a member of Topsham rugby club for over 10 years and supports Exeter Chiefs. James also enjoys cycling, running, surfing and snowboarding, along with travelling overseas.